Bank owned properties, or bank ‘REO’ remain the most desirable type of real estate for savvy real estate investors, brokers and agents, corporate acquisition specialists, and even end buyers. They offer potential for better deals, and better returns, with less competition. Contrary to some media hype, bank owned property and REO are still widely available. In fact, there are billions of dollars worth of these real estate assets across the US. The key is honing in to find them, learning how to buy REOs, and obtaining attractive financing for bank owned property. Below we’ll show you exactly how to find residential and commercial bank owned property, walk you through the steps to listing or buying them, and provide resources for financing them. How Does a Property Become Bank Owned? Real estate becomes bank owned property when borrowers become delinquent and default on their financial obligations. A bank effectively repos the property, and it is held classified as ‘Real Estate Owned’ (REO). The most obvious reason for a bank to repo a property is late mortgage payments. This can arise when a borrower becomes consistently late on monthly payments, or when they miss maturity deadlines (on balloon mortgages). Lenders, banks, credit unions, and servicers may also seek repossession if it is necessary to preserve their investment from other claims, or when there is another type of breach of contract. This might include due on sale clause provisions, and discovery of mortgage fraud. Commercial mortgage loans are not subject to the same regulation as owner occupied residential real estate loans. This means that lenders can often execute ‘Acceleration Clauses’, and begin the repossession process in as little as 10 days. This has created a massive pool of commercial, multifamily, construction, and land REOs. It is also why so many US banks and mortgage lenders have stopped lending to residential borrowers that intend to live in their properties. These lenders may loan on residential homes and multifamily apartment buildings, but only for commercial business (investment) purposes. This allows them to operate more freely, with less regulation, and with more security for their capital. Finding bank owned homes and commercial properties for sale isn’t always as easy as most would expect. It is critical to be able to quickly and efficiently pinpoint which banks have REOs to conserve time. Then investors, agents, and other buyers must understand how these financial institutions decide to sell. 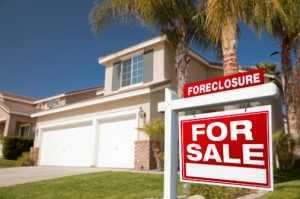 There are a number of ways to search for foreclosure and bank owned property. DistressedPro.com and the BankProspector system offers access to the largest and most comprehensive bank owned property database. How Do You Find Out Which Banks Have REOs? There are thousands of banks in the United States. That is in addition to credit unions, hedge funds, loan servicers, and other mortgage companies. Walking into these institutions or calling and emailing around isn’t likely to produce much in the way of results, even if you are targeting the right organizations and companies. The few bank owned homes for sale which are publicly advertised can often be grossly overpriced. BankProspector provides instant insight into exactly what US banks have on their books. This database and bank prospecting tool even allows real estate brokers and buyers to get ahead by tracking the data on delinquent and non-performing loans before they officially go into foreclosure and become bank owned property. Detailed data from BankProspector provides in depth access to not only identify which of the thousands of banks and lenders out there have non-performing loans and REO, but how much, and what type. For those new to buying bank owned property, it can be challenging – if you don’t know what you are doing. Anyone that has had any experience with a bank, whether that is applying for a small business loan, making a mortgage application, or trying to negotiate a loan modification, knows that it is rarely simple. The rules hardly seem to make sense. These organizations can be faced with billions of dollars of OREO (Other Real Estate Owned), which isn’t their main line of business, and that can make for an odd process to buy property. However, it can be greatly simplified and streamlined. You just have to understand their mindset, limitations, and processes. What most may find surprising is that accounting and paperwork burdens can prevent lenders from selling properties sometimes. Even if they’d love to get rid of the dead weight. Accessing the data which provides a more detailed picture of a financial institution’s current financial strength, and recent history of selling REOs will put you ahead of the game here. The DistressedPro.com Academy ‘Bank Direct Success Manual’ provides even more detailed resources for nailing it. How Do You Find Bank Owned Properties for Sale? As discussed above; ‘dialing for dollars’, pounding the pavement, and their equivalents are rarely efficient or effective. Try it out and see. Just make sure you have this page bookmarked in your browser. Because you’ll want to come right back. Foreclosure and bank auctions are tricky and have yielded results in the past. But, their popularity and lawsuits involving rigging in recent years have often yielded them useless and unprofitable. Wikipedia points out that there are often lien and location issues with these properties. Real estate agents can be a source of bank owned homes for sale. As commercial real estate brokers can be for multi-family, retail, office, land, and industrial properties. A skilled and experienced agent with great relationships may be a valuable ally in identifying and negotiating deals for bank owned property. Some banks, servicers, and lenders, have even developed their own departments for selling distressed assets. However, many are held off market as ‘pocket listings’. These are generally only available to a brokers’ tight list of most qualified, fastest acting friends. Others are advertised at market, or above market prices. This obviously eliminates the advantage of this type of property. DistressedPro and BankProspector enable buyers to target the banks holding bank owned property, the lenders that are ready to sell more of them, and helps buyers get ahead of the competition to secure attractive bargains. This is critical for investors, agents looking for listings, and end buyers that demand real value. As a real estate agent or broker bank owned property can be incredibly profitable. Once listed they can sell fast and proven success can lead to a consistent stream of highly profitable listings. 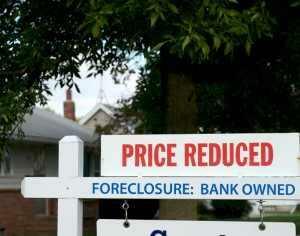 So which banks will list their foreclosure inventory with Realtors? And how do they select which Realtors to give their business? Which Banks List Their Bank Owned Property with Realtors? Perhaps the better question is which banks don’t list their bank owned property with realtors. Some of the largest national and international banking giants have already developed their own departments for this in the wake of the foreclosure crisis. HSBC and Bank of America are two of them. Others have long established relationships with other real estate firms. Trying to take this business away from them may be counterproductive and more time consuming than profitable. There are still thousands of banks and credit unions in the US that need help. Often the smaller, regional lending institutions don’t have the workforce and budget to handle this in house, and haven’t yet created systems for liquidating this inventory. They are often the best source for the best deals. They may also be the easiest way for agents trying to move into this space to work with. They need your help, you want to help them. It’s a win-win. A few minutes on Google, and an hour networking with other members of your local Realtor association will likely clue you in where not to waste your time. Focus on the other banks with REOs that need and will welcome your help. So what qualifications do you need to get approved to sell bank owned homes and commercial real estate? Probably less than you thought. Additional training, certificates, and accreditation can help. Everyone wants to work with a proven specialist. Those that want to sell HUD homes, will also need to be, or work under a HUD approved broker. If you’ve proven you can move these properties in a way that matches their processes you are on the right track. Keep in mind that when it comes to banks selling OREO it is really all about the net sheet. How will you put more money in their pocket on each property than the competition? 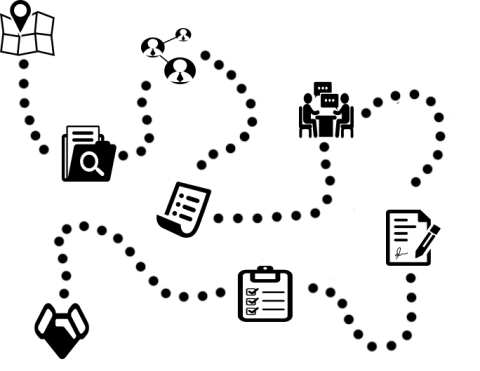 The big challenge is connecting with the decision maker who has the power to grant you the listing. Then you can build a relationship, and the ‘know you, like you, trust you’ framework for landing all of their listings. BankProspector is the tool for identifying decision makers at banks holding bank owned property and for obtaining their contact information. How do you buy a bank owned property? After having identified which lenders are holding them, and which can, want, and need to sell them, what’s the next step? How does the process work? The good news is that purchasing a bank owned property isn’t much different from buying any other real estate. The less good news can be that it is different. Some banks can be challenging to work with, if you are not familiar with the process. The mechanics of purchasing a bank owned property really aren’t any different to any other real estate transaction. What is different is you’ll be dealing with a seller that wants to do things their way, on their terms and they only really care about one number. Be prepared to hurry up to wait, and hurry up to wait. But it is well worth it for the discounts and profits to be found on bank properties. In spite of the myths, you can negotiate with banks. Especially, or at least if you are reaching them first, and before they are advertising REO property for sale. Expect the bank to demand you purchase “as-is.” Expect they will want to use their own title company or real estate attorney. Anticipate having to provide proof of funds and/or a mortgage pre-approval letter with your offer. Items which may be negotiated include; price, who pays which costs, right to inspect the property, and the closing date. Price is one of the easiest factors to negotiate when it comes to purchasing bank owned property. Where most fail is failing to understand the most important number to the bank. What they really care about most, and the figure they use to compare offers is how much they will net. Always provide a net sheet. This breaks down all of the closing costs so that the bank will see how much they will ultimately net from the sale from your offer. Your real estate agent, title company, or real estate attorney can assist with this. The bank will already have a rough idea of what they think the property is worth. They will normally have obtained a BPO (Broker’s Price Opinion) already. However, you can still justify your offer based on property condition, the local market, and comparable sales and pending foreclosures they may not be aware off. Document everything in detail. If you will be buying direct without a Realtor commission involved, or if your Realtor will reduce their commission for volume business, you may get an additional edge on the competition. Showing that you are the easiest buyer to work with will also buy you a bigger discount. It hasn’t been uncommon for lenders to approve offers 30% or $100,000 less than competing ones, just because they see it as the fastest and most reliable option. Don’t be afraid to ask for a discount. But don’t burn your bridges either. This is where relationships and direct contacts come into play. This way you can make awesome offers that get accepted all the time. Contrary to some misconceptions buyers can use financing to buy a bank owned property. Those that intend to pay cash for their purchases will be required to submit a ‘proof of funds’ letter from the institution where the cash is held with their offer, in order to get an offer accepted. Never state you are a cash buyer, unless you will be using cash. All buyers should expect to make a cash earnest money deposit at the time of making their offer. As with any other real estate transaction it is safest if this money can be deposited with your own real estate attorney or title company. Your real estate broker can also hold deposits in their escrow account. If you’ll be financing your bank owned property your offer won’t be entertained unless accompanied by a mortgage pre-approval letter. Some banks will offer financing on their own bank owned properties. This gives them more confidence in you as a buyer, and provides them with both more control, and another way to make money on the transaction. There are a wide variety of financing options for bank owned property. The right choice really depends on your purpose for buying. You may purchasing bank properties for use as a personal residence, as a second or vacation home, or purely as an investment. Bank owned property can be wholesaled, fixed and flipped, rehabbed and rented, or redeveloped and repurposed. Additionally borrowers can obtain financing from their own bank, the bank selling the property, or even leverage real estate crowdfunding portals for fundraising. No matter what type of loan you hope to get, and where you plan to get it from, it is essential to start the process early, and keep on top of your lender throughout the process. The closing costs associated with purchasing bank owned property or other bank foreclosure assets are really not to different from buying any other home or piece of real estate. The line items are essentially the same. But there has been some controversy over which party pays individual closing costs. The best way to accurately calculate your specific closing costs is to enlist the help of your mortgage lender and title company. You mortgage lender must provide you a Good Faith Estimate. The title company or closing real estate attorney will provide an estimated HUD-1 Settlement Statement. Depending on whether financing is being used and the loan being used there can be lender underwriting fees, appraisal fees, property insurance, and more. Where it becomes more complicated in buying bank owned property is who pays for which costs. Lenders will often want the buyer to cover all of the costs. Even those customarily paid by the seller in that state or county. They have even asked buyers to settle liens, and other past due third party bills in the past. Keep in mind that this is all negotiable. But there is no guarantee the particular bank you are working with will negotiate specific items. Bank owned property can also be bought at auction. There are several types of auction at which these properties may show up at. Foreclosure auctions are publicly advertised in the local newspaper. These live auctions normally require substantial cash and quick closings. The competitive and emotional nature of these events can sometimes cause real estate investors to bid up and overpay for property. It is wisest to conduct your due diligence in advance, determine your highest viable number before you walk in the door, and stick to it. Other types of auctions happen in blind sealed bidding, or are online auctions. Never assume that you have to overbid. Do your numbers and make an offer that is profitable for you. Buyers are often surprised at the low offers they get accepted. If buyers are close, the auctioneer or bank can always counteroffer. Properties also often go unsold for two or three rounds of bidding. Those ready to tackle these properties and their flaws that turned off other investors may find they can bid very low, and score some great deals. However, it is critical to point out that public auctions have run into rigging scandals, and that any highly competitive retail environment can lead to properties being overpriced. Those looking for the most value may be far better off getting in touch with the bank directly when properties are not being advertised and actively bid on by others. With the challenges that foreclosure auctions bring many investors want to know the advantages of purchasing earlier in the process. When properties go into default they can be bought at various stages and indifferent forms. When the foreclosure crisis of the early 2000s began foreclosures started to become very attractive to investors and regular buyers for their perceived discounts. However, as the real estate market progressed and marketers and sellers caught on, many properties have been advertised as “foreclosures” even though they might not have technically been so. Not every ‘foreclosure’ is deal or sold at a bargain price. These properties can be found direct from sellers, via real estate agents, and at various auctions. At one point the best discounts could often be found earliest in the process. Now that lenders have often been more inclined to repossessing properties versus granting loan modifications or short sales, many of the best deals are found directly from the banks and their bank owned property. The one exception to this may be non-performing notes which haven’t accrued the costs and fees associated with going to foreclosure. A ‘Short Sale’ is a transaction in which the lender agrees to accept less than the balance owed. For example; if a property has an outstanding balance of $1M, banks have been known to take anywhere from $300,000 to $700,000 in exchange for quickly exiting a non-performing asset. How much they will accept under the balance owed really depends on the institution, the current local market, property value, and the offer being made. A short sale traditionally occurs prior to going to foreclosure auction, and is purchased directly from the borrower-owner, with the bank’s approval. Technically most bank properties end up being sold short, if purchased by savvy investors. The pros of buying short sales before they become bank repos can be that they are in better condition, and other fees and liens haven’t accrued. However, short sales can still take very lengthy periods of time to be negotiated and approved, versus buying direct from the bank. Bank owned properties have developed a notorious reputation for their maintenance and condition in the media. Financial analysts once estimated that 90% of bank foreclosure homes required some form of repairs and improvement before they could be considered livable. Banks have simply lacked the infrastructure and motivation to maintain properties once they are repossessed. In many cases old owners have remained in their properties long after they no longer own them. In other cases squatters have moved in. Some real estate scams have involved con artists renting out homes that weren’t theirs. Left abandoned and vacant for many months and years many of these properties have been vandalized and gutted by thieves and opportunists. Even reality TV show star, and one time music artist Vanilla Ice was caught allegedly raiding materials from empty properties to renovate others. The end result has been local authorities bulldozing thousands of these properties. This has been most notable in areas in NY, MI, OH, and NV. Armando Montelongo of A&E’s reality TV show Flip This House was once featured in an episode which saw the house flipping couple purchase a property only to discover it had already been slated for demolition. They had already begun renovations. This makes it critical for buyers and investors to do as much due diligence as possible before buying properties. Ideally buyers will know who if anyone is occupying the property, what kind of condition it is in, and any liens or actions pending against it. Once purchased the new owners need to ensure they maintain their real estate to code, and keep it secure. Thank you so much for all of this information. I now have a better idea on these scary steps in buying . What happens if an owner has made significant improvements to a property that the bank has now forclosed on and sold to another individual. Can they remove the improvements? The bank did not pay for? Hey Beth, Thanks for the question. You should always check with an attorney and you should not rely on my advice but the answer is no, you cannot remove them. Generally speaking, once you have attached anything to the property it belongs to the property so if the property is sold then all fixtures and appurtenances go with it. Had you removed them before the property is sold that’s completely your business, after the property is sold, that is theft. We are buying a bank owned property, the builder did not complete construction , drywall is up and we will finish the build mainly putting in kitchen, bathrooms, painting and flooring. We intend to sell as soon as it is complete, are we responsible for the work done before we purchased the property such as the framing? We’re not attorneys and you should always consult legal counsel for legal advice, however generally speaking once you are in the chain of title, you’ve taken ownership, then whatever you represent to be true about the property will be your responsibility. If you know the framing or other work done on the property to be sub-par or deficient and you sell the property to another and something happens and it can be proved that you knew or should have known and did not disclose then I think you’d have a real hard time in a courrt of law. Who is We? Is it a licensed General Contractor with insurance? Is the work permitted? Follow the legal process. Massachusetts is a non-judicial state. Looking into a piece of land that was foreclosed and bank owned and they have been trying to sell for over 2 years. Are they more likely to accept a lower offer and percentage wise how much lower than the last purchased price about 2-3 years ago. Recommendation this days has taken a new shape as clients wants more,you might have been declined of mortgage loan program,still lacking knowledge of credit trade lines,and below the reasonable score of 600.i got tutored via a video posted by freedom_hacking at hot -mail com on a credit platform in Uk on means of improving chances of loan approval such as DTI,Documentations,high score maintenance .while many borrowers face challenges are failure to follow due process after going bankrupt or getting into financial crises.i carried four delinquent accounts plus I have been late on some of my current accounts.The video was really helpful but i had to link up with them for repair and upgrade.